Leigh is a Policy Adviser at the Sport and Recreation Alliance, the umbrella organisation for the governing and representative bodies of sport in the UK. His main areas of focus include sports betting integrity – principally providing support to the Sports Betting Group – as well as broadcasting, tax and fiscal policy and EU sports policy. He has a background in policy and regulation having held similar posts in other sectors prior to joining the Alliance. 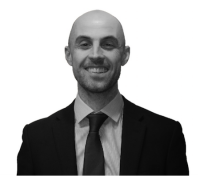 Leigh holds degrees in Economics and Public Policy and recently completed a Postgraduate Diploma in Sports Law. He has a keen interest in the legal and regulatory aspects of sport.